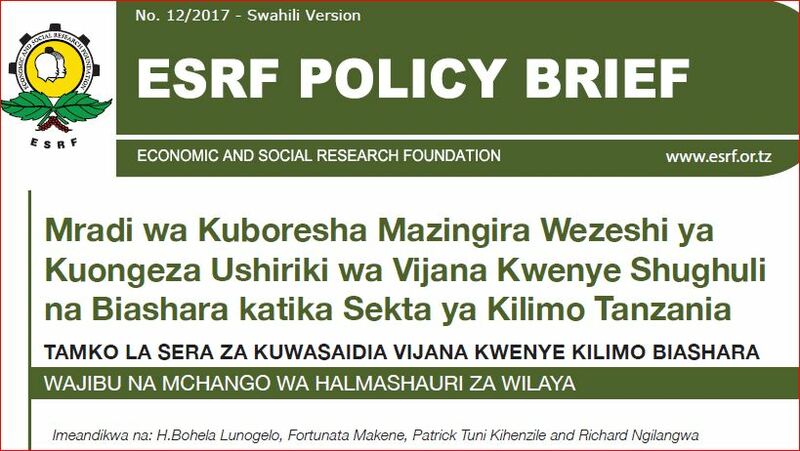 Transforming Fish-farming for Poverty Reduction in Tanzania: A Situation Analysis and Recommendations on the Way Forward. ESRF conducted a study to examine the pond fish-farming industry in Tanzania as governed by the Fisheries Act No. 22 of 2003 with the associated regulations and the National Fisheries Sector Policy of 1997. The policy and its strategy statements aim at transforming the fisheries sub-sector into sustainable commercial and competitive fishing. The objective of the study was to generate baseline information required for monitoring and evaluation of the transformation of the pond fish-farming and in- form policy decisions makers. The results of the survey suggest that pond-fish farming could not be transformed due to a number of issues, including: limited government support as observed in the poor state of the transport infrastructure, insufficient exten- sion services, inadequate fisheries knowledge and use of old technology, low farm-gate prices, lack of proper fish fingerings and fish feed, as well as limited access to financial services. Furthermore, the findings revealed that people perceive fish farming as easy and not requiring much preparations, fish farming is a male-dominated activity, ponds are constructed along water streams without considering the country’s environmental preservation rules and regulations, and stakeholders lack strong associations or a board to link them up with the government and other organisations. To address these challenges it is recommended that the government should increase its commitment to the industry by develop- ing the required infrastructure, training more aquaculture officers and distributing them to all wards with pond fisheries poten- tial, as well as providing incentives such as subsidized quality aquaculture inputs and credit facilities. The government should also enforce the set legal frameworks and institutional reforms that will encourage investments in small-, medium- and large- scale commercial aquaculture while addressing issues of gender to make sure that all disadvantaged groups are included. Local government authorities should establish shamba darasa (demonstration sites) at ward or village level for people interested in pond-fish farming to learn from. 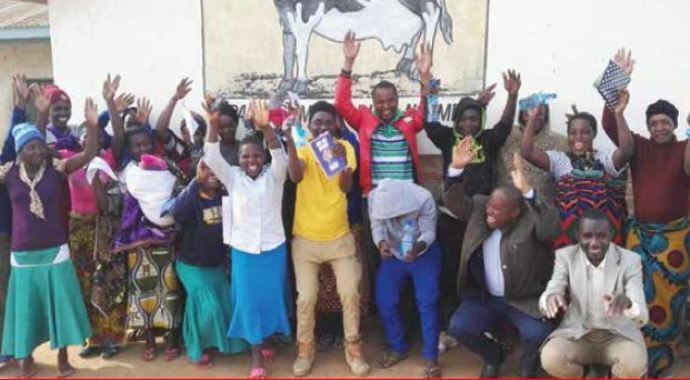 The formation of associations of aquaculture stakeholders will make it easier for members to be trained and access finance, information, and new technology, as well as agree on reasonable farm-gate prices.